The stiff wind running off the Gulf of Mexico felt like a blast furnace. Ocean surface temperatures near 100 degrees Fahrenheit; air temperatures of 113 F, high humidity, and a smell like rotten eggs added to the overall insufferability. Unpleasant was a better word from a better time. Mere unpleasantness had long since fallen away before the new deadly edge that Nature had adopted. Tampa’s streets were packed with vehicles but featured only the rare transient foot and bike traffic. Just 15 minutes’ exposure to the brutal four p.m. heat and humidity could swiftly result in heat stroke as a body’s natural cooling systems were overwhelmed by conditions no human physiology could for long endure. The city had long since grown accustomed to the warnings. Anyone wanting to stay healthy remained indoors, huddling close to the blessed vents blasting machine-cooled, filtered air. In the heat-scorched streets, elevated many times over to keep above the rising seas, a few diehards still roamed. They sported the latest in cooling accessories — thermal-bleeding fashions were all the rage and had been for at least three decades now. So too were the thin-film sulfur filtration masks, totem-like in their branding and individually styled in patterns of iridescent colors. These were the stylized provisional responses to the gigantic dead zones that regularly painted the Gulf’s waters purple-black with stinking, toxic-gas-spewing bacteria. But today, the waters were sickly green. The stink was merely unbearable and only somewhat unhealthy, thanks to the large and powerful storm now pushing in the bluer off-shore waters and flushing out some of the seaside dead zone. Tampa had fared badly, but not so badly as Miami, or the huge chunk of South Florida now covered up by the Gulf and Atlantic Ocean. In the 2030s, large numbers of South Floridians and coastal residents began an exodus northbound and inland. Some stopped in Tampa, staking a claim on the increasingly-expensive higher elevations, but most just kept heading north — past drought-stricken Georgia, through the drying Mid-Atlantic states, and on north, even into Canada. But anywhere they went, there were problems. A big zone from the Mid-Atlantic on south and west was turning into desert. The Mississippi was becoming more and more an intermittent river –practically drying up most summers and then flooding like the dickens during February through April as gigantic storms cycle south out of the Arctic, driving massive swaths of hurricane-force winds before them. The West was even worse, with a large section of four states now experiencing temperatures that make early-century conditions at Death Valley seem tame. It was tough to find a place of safety and security, much less comfort. Lives were shorter, harder than ever before. People scrambled from place to place. They hoarded food. Most were thin — Renaissance-era voluptuousness was making a comeback. Indoor and underground farming had exploded — saving the lives of millions in the parts of the world that adopted these methods — but the dead oceans, lost farmlands, and increasingly scarce fresh water sources resulted in a cascade of regional and global crises. Needless to say, there were less people. There was basically less of anything living anywhere. All the heating and burning and storming and putrefying had seen to that — the results of two centuries of fossil-fuel emissions that ebbed and flowed but never really stopped growing. Tampa, like every other city still functioning, had seen her fair share of all this trouble. 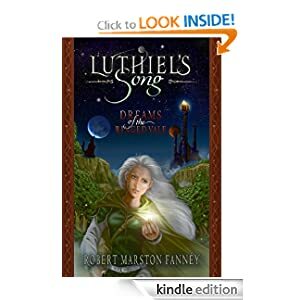 She was one of the lucky ones — still around, clinging to the higher elevations, still building up her sea walls, making and importing what food she could, finally casting off the corrupt fossil-fuel industries and enabling what economy that remained through all-renewable energy. You couldn’t call it sustainable — that ship had long since sailed. Some day, a big glacial outburst flood somewhere in Antarctica would push seas high enough to devour Tampa whole. Or some day, a giant city-killing storm could scour enough of Tampa from the face of the Earth that the resources and effort necessary to recover would simply become a mountain too high to climb. For Tampa, that day may well be the day after tomorrow, for monster storm Raptor now tore through the blue, green, and purple-black waters of the Gulf of Mexico. Gorging on sea-surface temperatures near 100 F, this enormous stack of lightning-wracked clouds reached 80,000 feet into the atmosphere. It ripped that hot air and moisture up from the surface, casting it in an enormous bellow toward space. In the wall of the resulting funnel, winds howled at 230 miles per hour. Minimum central pressures measured 835 millibars. Wave-height measures from some buoys — those whose sensors hadn’t been slammed into inoperability — were coming in at 100 feet. A 20-mile-wide swath of these conditions formed an atmospheric axe along the right front quadrant of the storm as it turned toward Tampa. Crossing land, it would produce a 35-foot storm surge topped by 20- to 40-foot breaking waves. In areas not submerged by these churning, toxic waters, the winds would blow as strong as an EF 5 tornado — enough to strip the bark from trees. This combination of conditions would demolish any above-ground structures. The cone of destruction centering at the coast, then ripping 60 to 100 miles inland before the storm finally slaked its rage. Similar nasty storms had helped to render the Persian Gulf region uninhabitable. Cairns, Australia had been ripped apart by such a beast five years earlier. The Phillipines, Taiwan, coastal China and Japan were visited ever more frequently by the monster category 4, 5, and 6 systems. And the thing barreling toward Tampa was among the strongest of a deadly new breed that meteorologists were now calling city killers. The threat was not lost on residents. Those unresponsive to storms and extreme weather didn’t have a very high life expectancy. Roadways leading out of Tampa became packed with traffic. Inbound lanes were designated outbound. Trains, planes, hyperloops, and buses were all packed to the gills with those fleeing the path of Raptor. Lower populations after the migrations and mid-to-late Century crashes, in part, made the flight easier. As did the increased responsiveness. But the size of the storm swath, lower road and track resiliency due to the heat ahead of the storm, the more toxic air blowing off the ocean, and the increased population densities due to suburban abandonment created its own evacuation nightmares. Higher populations of older persons suffering from increased rates of dementia and frailer organ systems due to toxin accumulation and disease proliferation were also less mobile. Moving this vulnerable group required a major effort on the part of Tampa volunteers and emergency responders. But after suffering decades of increased losses, lives and personal relationships were often considered all-the-more precious as people nostalgically clung to what connections remained or fought a crushing sense of fear and isolation by increasingly working to help others. The great ages of excess that preceded this period had left deep and enduring marks on the psyches of the people who’d survived through those times. And a quiet, defiant, never-again mentality had begun to emerge. In the face of such loss of beauty and safety, people were not only determined to live, they were determined to make the most of what meager lives remained to them by caring. By adding art and color to a world increasingly denuded of beauty. And by, most of all, attempting to preserve life. The flight of Tampa’s populace from before the storm was, therefore, far more responsive, far more vigorous, than the responses of previous generations. And a vast majority heeded the warnings and left. As a result, the city became an empty shell with only about a hundred thousand die-hards and emergency personnel remaining. With the big evacuation pulse now running inland and northbound, and with sections of Orlando evacuating while other portions hunkered down, the first outliers of Raptor began to encounter the coast. The green-white froth on the swells grew more vivid — almost looking neon in the light of dawn. Off-shore, an angry black stack of clouds thrown off from Raptor’s outer bands rushed toward shore. Gale-force gusts and a large accompanying swell pummeled Tampa’s seawalls and streets. The down-drafts and the first falling rain drove temperatures lower — into 90s (F). But the sensation was still one of oppressive heat due to the near 100 percent humidity. Winds continued to rise and, over the next few hours, hot, driving rain steadily wrapped the Tampa region in a kind of stinking, hissing, steam. The continuously lifted sea walls and dikes never quite kept up with sea level rise. So even the early outliers of Raptor were enough to generate floods of putrid, green waters rushing through the lower-lying streets. Bridges and roads were quickly cut off and those remaining in town, and especially those on the newly dubbed Petersburg Island, were quickly cut off. Those poor souls remaining would have to face Raptor on their own and without the aid and comfort of an increasingly necessary emergency response force. Raptor was moving rather swiftly and by early evening the storm’s eye wall was beginning to approach the coast. Off-shore, a great mound of water like a tsunami ran up from the waters of the shallow Gulf. Still taller waves rose atop it. Some of the rogue peaks stretched 150 feet above the base sea level. The net effect was one of an intense green-white mass taller than the tops of most buildings roaring in from the Ocean. The mass drowned St. Petersburg in a foundering break-water. 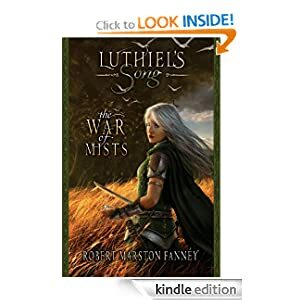 It roared into Tampa Bay, and there it lifted the remaining ships and boats and hurled them bodily into buildings, across the shore line, and into rapidly flooding streets. Waters rushed into Tampa and on inland — in some places continuing for 10-20 miles before the great pulse of water was finally slaked by elevation. Southwest winds rose up into a sound like a freight train. Debris was hurled into a great cloud over the flooded city. Everything from bits of sand and dirt, to paint chips, to flinders of bark from the few hardy trees remaining, to as large as vehicles and wall sections was lifted and hurled with lethal force. The churning vortex of 150 to 230 mph winds created a wall of moving air full of this shrapnel. Tampa was engulfed in a loud and angry blackness full of giant waves and flying teeth. In the above-water sections, it was impossible to see more than 10 feet outside clearly. And tens of thousands of structures were quickly ground down to their foundations by the combination of violent water and air. These conditions covered a region stretching for 20 miles along the coast. With Raptor making landfall near Largo, this swath covered the mouth of Tampa Bay, St. Petersburg, Lealman, and Pinellas Park. With the storm running across the northern bay to make a second landfall about ten miles south and east of Safety Harbor, most of Tampa proper was affected by this zone. The raging storm surge, concentrated by the Bay and pulled along the arch of the storm’s vortex peaked to extreme heights where the bay narrowed into Tampa. And large sections of the nearby city simply drowned. Then the storm passed inland, dumping torrential rain and cutting an 80 mile long, 20 mile wide swath of destruction through Central Florida. The wall of airborne shrapnel picked up more and more debris as it went. A few travelers on the road were forced to hunker down at a nearby recharging station’s convenience store — which subsequently collapsed. Their ordeal, recorded by portable devices which caught the hours-long images of flying cars, bits of transmission towers and other debris so damaged as to be rendered into an unrecognizable black grit across the sky, became a part of one more ‘new most violent’ storm record. A testimony to the worsening hazards and losses of the time. As the next day dawned and rescue and disaster relief aircraft entered the storm zone, the epic destruction was more fully revealed. Observers from airplanes pointed out the swirling impressions upon the stripped land. One pilot noted that it looked like a thousand tornadoes had all gotten into a line 20 miles long and then run north and east inland. Another simply stated that it looked like the land had been pounded barren by the vast fists an angry god. Over a million structures had suffered at least moderate damage. Over 200,000 had been blown or knocked by waves down to their foundations. Despite the effective evacuation, the death count was tremendous. More than 35,000 in the Tampa region and points inland immediately lost their lives to the storm. Another 60,000 were estimated to have perished in the aftermath as a failure to restore power in time resulted in exposure to killing heat and near-shore airborne toxins. Considering comparable storm, fire or drought losses in three other US cities that year and the inevitable coming multi-meter sea level rise, government officials decided to add Tampa to the growing list of communities that would never be rebuilt. In 2016, Earth’s atmosphere isn’t yet capable of producing a storm like Raptor. But in a not-too-distant future, a 5-degree (Celsius) rise in global temperatures pushed on by 900 parts per million of atmospheric CO2 would result in heightened levels of heat and moisture fueling a great deal of instability. The Earth’s atmosphere would still be taking in huge amounts of heat at its top. The glaciers would likely be unzipping and sending out hordes of icebergs riding a pulse of cold surface water. As ever-more-dominant heat goes to war with dying cold, the amazing temperature differentials spawn equally terrible storms. Seventy-four years from now, under business as usual warming scenarios, the tropics and subtropics are likely to be hundreds of miles to the north of their current geography. Rising troposphere heights will bring ever-taller thunderstorms. When these storms manage to organize into hurricanes, the results have the potential to be dramatically more powerful than today’s comparatively tame storms. Category 3, 4, and 5 storms would be more frequent. And a new category — 6 – may be needed for storms whose maximum sustained winds exceed a range near 200 miles per hour and whose minimum central pressure hits lower than around 880 mb (a range that starts out a bit more powerful, on balance, than the strongest storms that are capable of forming today). The above scenario is a climate fiction portrayal of a potential category 6 hurricane impacting Tampa in the 2090s. The scenario incorporates recent scientific studies pointing toward projected increases in hurricane intensity due to human-forced warming of the Earth’s oceans and atmosphere. In particular, the work of Dr. Jeff Masters on emerging Grey Swan hurricanes driven by climate change proved very helpful in providing a groundline basis for potential category 6 hurricane strength and impacts. And it is worth noting that Dr. Masters is highlighting scientific work showing that under business as usual human warming it is possible that storms of never-before-seen intensity will hit the Tampa region. The storm in this scenario, Raptor, is nearly as strong as the storm produced by one of the climate models Dr. Masters references. This extremely powerful storm hit Tampa in a physical computer model assessing hurricane strength under business as usual warming. The modeled storm achieved 235 mph maximum sustained winds and an 830 mb minimum pressure. It’s worth noting that we have no record of a storm of this strength ever forming on Earth. But, under greenhouse gas loads and temperatures that continued fossil fuel burning will establish by the end of this century, the Earth atmosphere becomes capable of supporting such extreme events. To this point, it is absolutely also worth referencing Dr. James Hansen’s seminal Storms of My Grandchildren while making the very clear statement that the atmospheric brew we are pumping out will make never before seen monster storms a terrible and dangerous aspect of the world our children and grandchildren will inherit and try to survive in. The scenario also takes into account various broader Earth System changes such as potential sea level rise due to melting glaciers, increased disruption of food and water supplies, loss of ocean health and increased anoxia and related water and local air toxicity (due to warming and increased nutrient run-off into the world ocean), model simulations and understandings of the increasing prevalence of extreme land and ocean surface heat and 2 meter humidity (wet bulb temperatures increasing into the lethal range of 35 C+), and expanding drought, disease and extreme weather zones. This particular event and context follows closely to conditions projected under the IPCC’s business as usual fossil fuel emissions or RCP 8.5 warming scenario. For the purpose of this exercise, I have added climate conditions to the business as usual case that I see as plausible given that level of warming. Some of these additions are based on my own interpretation of scientific efforts that are currently not fully settled. However, I feel the overall portrayal is likely at least relatively accurate given various model projections and how the Earth System appears to have changed in response to past warming events. It’s worth noting that RCP 8.5 does not assume zero renewable energy adoption. It simply assumes that fossil fuels will remain the dominant source of energy with consumption growing through the end of the 21st Century. As such it results in a catastrophic warming scenario over a less than one century time-frame. But such a warming would be achieved over longer time-frames so long as human carbon emissions are not rather swiftly brought to zero, Earth System feedbacks are strong enough, or elevated atmospheric greenhouse gas levels are not drawn down. Conditions similar to RCP 8.5 at 2100 could be achieved by approximately 500 ppm CO2 by around 2500. A reality that increases the necessary urgency of our current mitigation responses. Lower level warming and emissions scenarios are still dangerous, but do not result in the higher levels of harm evident in RCP 8.5. Human impacts in the scenario such as loss of lives and lifespan reduction are based on my own understanding of how human beings are likely to adapt to such situations and how multiplied environmental stresses are likely to start to overwhelm human population growth in net by middle-to-end Century under the RCP 8.5 scenario. The writing above assumes that the civil system surrounding Tampa and this section of the United States remains at least partially intact due to cooperative effort on the part of individuals living in society at the time. Such a response is hopeful, but it is not guaranteed. From Russia With #HateTrumpsLove — Is Putin’s Petrostate Attempting to Tilt US Election Toward Republicans? Donald Trump and Vladimir Putin, for a long time now, have aligned their statements and political actions. As it becomes more and more certain that Russia hacked into Democratic National Committee emails in what appears to be a weaponized information warfare attack on the U.S. electoral process, one has to seriously consider the notion that Trump stands to substantially benefit from such an act of international cyber-aggression. When asked in December about the killing of journalists under Vladimir Putin, the Republican presidential candidate, who just the day before had called Putin “brilliant” and “a strong leader”, reluctantly admitted that such atrocities under Putin might possibly be a bad thing. Trump went on to backhandedly defend Putin’s alleged poll-rigging and positively compared Russia, which is rated worse than Sudan and Iraq when it comes to press freedoms, to the United States. Implied was not only a kind of admiration in Trump of Putin, but for the kinds of oppressive political activities that denigrate the foundations of democracy itself. This noted tendency to defend the political strongman is especially salient when you consider the fact that Putin has held growing autocratic power over a Russia now falling down the dark hole of ever-worsening human rights abuses and political persecution by various means for the past 16 years and shown all of the worst kinds of contempt for the electoral process. All of this served to highlight Trump’s callous disregard for a free press — one of the foundations of democracy here in the U.S. Various astounded and befuddled Republicans, including the likes of George Will and Mitt Romney, showed a modicum of morality and quickly condemned Trump’s admiration for Putin. And CNN, though not as tonally taken aback as MSNBC’s Joe Scarborough, noted the existence of a strange “bromance” between Trump and Putin. Whether it’s an autocrat profiting from draconian laws, intimidation and human rights abuses in Russia or a corrupt billionaire rigging the game against struggling students for monetary gain in the U.S., it would appear that both Trump and Putin have quite a lot in common. And though political and economic bullying may seem the most obvious, there’s a deeper alignment here that we should not entirely ignore. 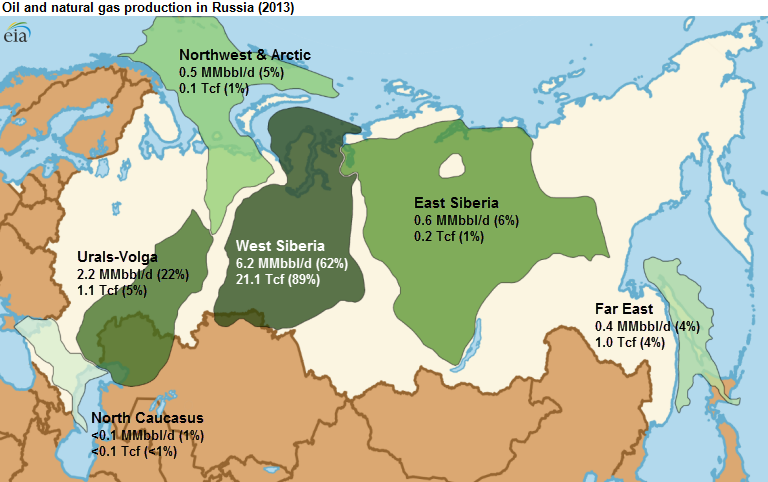 At issue is the fact that Russia is a state that has unwisely and irresponsibly bet a large share of its economic fortune on fossil fuel exploration and extraction. U.S. policies aimed at mitigating human-caused climate change by reducing fossil-fuel burning and increasing renewable energy access would, by extension, erode Russia’s fossil-fuel based economic model. Russian plans for using oil and gas as a lever to exert political influence over Europe and China also fades in a world that rapidly adopts renewable energy. Hillary Clinton and a Democratic Party invigorated by Bernie Sanders have come to, more and more strongly, support the kind of needed action in the face of rapidly worsening human-caused warming. Donald Trump and the Republicans who support him are climate-change skeptics or deniers. Trump’s policies call for vastly expanded fracking, removal of supports for renewable energy like Obama’s Clean Power Plan, and an increasing dependence on and production of oil and gas. Such retrograde policies would set the U.S. back on a terribly damaging business-as-usual carbon-emissions path and secure the dominance of the kinds of polluting fuels that Putin’s Russia has irresponsibly bet its economic future upon. Such an alignment of interests cannot be ignored, and nor should Trump’s and Putin’s mutual overtures or Trump’s defense of Putin’s various and noted abuses of power. It is in this context that the hacking of DNC emails, much like the hacking and misrepresentation of climate scientist emails over recent years, has occurred. If the allegations do prove correct, this is an unprecedented step for Russia. Hacking is nothing new, but publicizing documents to attempt to sway an election certainly is. Putin would clearly prefer a Trump presidency. The billionaire Republican candidate is a longtime admirer of Putin’s, and has publicly stated that he wouldn’t necessarily defend NATO allies against a Russian invasion. To top it all off, Trump’s campaign manager, Paul Manafort, formerly worked as an advisor to Viktor Yanukovych, the Russian-backed President of Ukraine before he was ousted in 2014. If even only some of this bears out and if the obvious alignments and motivations between Trump and the international fossil fuel establishment prove to be part of the motivator (pretty clear motive and pattern of behavior here folks), then it looks like the climate wars — which have been a vicious political and media undercurrent for years now — just went hot. On Friday, amidst temperatures exceeding 100 degrees Fahrenheit, and at a time when California is now entering its fifth year of drought in a decade when seven out of the last ten years have been drought years, a rapidly growing and dangerous wildfire erupted in the hills north of Los Angeles. The Sand Fire, which some firefighters are calling practically unprecedented, sparked before typical wildfire season peak and began a rapid spread that consumed 10,000 acres per day from Friday through early Monday. Nearly 3,000 firefighters scrambled to gain a foothold against the blaze, but were somewhat unprepared as contracted water-bomb aircraft from Canada won’t be available until next month, during what is usually the worst part of fire season. The aircraft assistance was planned as extra fire-suppression capability for Santa Clarita, but typical fire threat and risk assessments no longer hold much water in an era where human-forced climate change is pushing temperatures and drought conditions to new extremes across California. By Monday, the fire had exploded to 33,000 acres (51 square miles). In total, 18 buildings are now reported to have burned and more than 10,000 others have been evacuated. A population the size of a small city, 20,000 people, have now been displaced by this rapidly expanding wildfire. Due to heroic efforts by firefighters, an estimated 2,000 homes have been saved so far. Sadly, the fire has also now claimed a life. Continued hot temperatures and 30-mile-per-hour winds are expected to continue to fan the fire today, which as of this writing is just 10 percent contained. If the worst case is realized and this fire continues to expand out of control, as many as 45,000 homes may ultimately be forced to evacuate. Such an evacuation would be comparable in scale to the Fort McMurray Fire which raged through Alberta during May and forced more than 90,000 people to flee. There is widespread geological evidence of voracious fires burning through large regions of the globe during past hothouse warming events. At the Paleocene-Eocene boundary 56 million years ago, a warming rate that was about ten times slower than what we are experiencing now set off immense blazes that ripped through the world’s peatlands and forests. In other words, evidence points to past instances of Earth warming into hothouse conditions generating periods of intense fires that may well be called fire ages. Today, the Earth is about 1.2 degrees Celsius warmer than during the late 19th century. This high temperature departure combines with a very rapid rate of continued warming to dramatically increase wildfire risks around the globe. More local to the Sand Fire, California is in a zone that global climate models have long predicted would suffer from severe heat and drought as a result of fossil-fuel burning and related human-forced warming. This year’s persistent above-average temperatures on the back of five years of drought have greatly increased wildfire risk for the state. Millions of trees now stand dead, surrounded by withered vegetation in a heating and drying land — a vast range of additional fuel that is ever more vulnerable to ignition. Not only do these conditions generate a higher risk of extreme fires during fire season — sparking blazes like June’s Erskine Fire which burned 200 homes and was the most destructive fire in this California county’s history — but they also increasingly spark large wildfires out of season. It’s a set of conditions that basically generates a year-round fire season for the state, even as it also sparks winter wildfires at far-flung locations around the world. The time for debate is over. The time for rapid response is now. The Earth System just can’t take our fossil-fueled insults to her any longer. Today, climate change-enhanced wildfires in Siberia and Africa are belching out two hellaciously huge smoke clouds (see images below). They’re also spewing large plumes of methane and carbon dioxide, plainly visible in the global atmospheric monitors. Surface methane readings in these zones exceed 2,000 parts per billion, well above the global atmospheric average. Even as the fires rage, bubbles of methane and carbon dioxide are reportedly seeping up from beneath the tundra — generating big blisters of these heat-trapping gasses that are causing sections of the Arctic soil to jiggle like jelly. Greenhouse gas content in the blisters is, according to this Siberian Times report, 7,500 parts per million CO2 and 375 parts per million methane. That’s about 19 times current atmospheric CO2 levels and 200 times current atmospheric methane levels. Overall, these carbon jiggle mats add to reports of methane bubbling up from Arctic lakes, methane blowholes, and methane bubbling up from the Arctic Ocean in a context of very rapid Arctic warming. Meanwhile, a global warming-enhanced drying of the Amazon rainforest appears to be squeezing a substantial amount of these hothouse gasses into the Earth’s atmosphere. Copernicus Observatory surface monitors indicate pools of 600 to 800 parts per million CO2 concentrations near and around the Amazon rainforest. These 100- to 200-mile-wide spikes in CO2 concentration are 1.5 to 2 times current atmospheric concentrations. These very high CO2 levels occur even as methane readings over the Amazon are also abnormally high, a possible precursor signal that the NASA-predicted Amazon rainforest wildfires this summer may be starting to ignite. Any one of these instances might be cause for some concern. Taking all these various observations together looks like a clear signal that the Earth is starting to produce an increasingly strong carbon feedback response to human-forced warming. If true, that’s some pretty terrible news. Each summer, the boreal forests of the Northern Hemisphere take a big breath. In the warmer airs, leaves unfurl, grasses grow, and all kinds of CO2-respiring organisms take hold. Together, they produce a frenzy of activity, a riot of life gathering great stores of energy for the next plunge into winter. Over time, this natural capture of CO2 stores this atmospheric carbon in plant matter that ultimately becomes soil, permafrost, or is buried in the Earth in the form of various hydrocarbon stores. It’s this annual great growth and greening that, in large part, drives the seasonal up-and-down swings of the global carbon cycle — a cycle that, under stable conditions, would generate an annual wave in atmospheric CO2 concentrations running over a long-term flat line. Ever since the advent of the Industrial Revolution, human fossil-fuel burning has been adding carbon to the atmosphere. The result is that these seasonal swings, driven by plant respiration, have overlaid a significant upward trend in atmospheric carbon, one that this year pushed peak atmospheric CO2 values to near 408 parts per million. This is a level not seen in about 15 million years. That increase in its turn has dramatically warmed the Earth — a result that has its own larger impact on plants, on the cycles that influence their ability to take in carbon, and even on the older carbon that was long ago stored in plants but is now sequestered in the soil, permafrost and oceans. Warm the world up, as humans have, and you generate what, in scientific parlance, is a carbon feedback. Overall, the ocean can take in less atmospheric carbon and increasingly bubbles with thawing methane, the soils can store less carbon even as more is baked out in the heat, the plants and peats on balance burn more than grow, permafrost thaws and releases its own carbon. It is this carbon-cycle response to warming that is expected to add more carbon dioxide and methane into the atmosphere on top of that already being released through the harmful processes of fossil-fuel extraction and burning. How much heat-trapping carbon the Earth System will ultimately add to human fossil-fuel emissions is kind of a big scientific question, which is answered in large part by how much fossil fuels humans ultimately burn and how much heat is ultimately added to the Earth’s oceans, glaciers, and atmosphere. Back in 2007, the IPCC estimated that around 87 parts per million of additional CO2 would be added to the world’s airs by 2100 (under an apparent assumed final human-driven CO2 accumulation of 700 ppm) as a result of this kind of carbon feedback to human warming. This implied about a 20-percent positive CO2 feedback to warming. However, the model projections were wide-ranging (from 4 to 44 percent) and the overall assessment drew criticism due to a lack of inclusion of permafrost and hydrate feedback estimates. In 2012, the IPCC produced a more uncertain, complex, and unclear set of projections that notably didn’t include permafrost carbon feedback or methane hydrate feedback model projections, the scientific understanding of which is apparently still developing. But despite a good deal of specific-issue uncertainty, the consensus appeared to state that over the medium- (21st century) and long-terms (multi-century), we’d have a significant amount of extra carbon coming from the Earth System as a result of responses to a human-warmed atmosphere and ocean. Overall, there’s a decent amount of support for the notion that the Earth System is pretty sensitive to warming, that it tends to respond to even a relatively small amount of initial incoming heat in ways that produce a good deal of extra carbon in the atmosphere. After all, only a small change in the way sunlight hits the Earth is enough to end an ice age and pump an additional 100 parts per million of CO2 out of the Earth’s carbon stores as a result. The added heat forcing provided by the current human fossil-fuel emission is far, far greater than the one that ended the last ice age. It is in this understanding and context that we should consider what appears to be an increasing number of Earth System responses to a human-forced warming that has currently exceeded 1 degree Celsius above 1880s averages. It’s easy to envision that these responses would grow in number and intensity as the Earth continues to warm toward 2 C above 19th-century averages. Back in 2014, an unsuspecting world was on the verge of a major global temperature increase. But despite warnings from scientists like Dr. Kevin Trenberth that deep ocean warming had sped up and would eventually result in rapid surface warming, the big media meme at the time was that global warming had ‘paused.’ Originating in The Economist, and swiftly spreading to numerous other news outlets, this particular blast of bad information fed the public a big helping of false sense of security. In 2014 through 2016, maximum global temperatures jumped from around 0.65 degrees Celsius to around 1 C above the 20th-century average. In just three years’ time, the whole of the Earth’s surface had warmed by about 0.35 C. This is like cramming all of the warming from 1880 to 1980 into the three-year 2014-to-2016 period. Never before in all of the global climate record starting in the late 19th century has the Earth warmed so much in so short a time. Global warming hadn’t paused at all. It was just getting ready to hit the accelerator. All this newly-added surface heat represents a big step up into much warmer conditions for the global climate. What this means is that even the coolest months now will probably approximate the warmest months during the big super El Niño of 1998. Such a large temperature increase in so short a period means that the world has likely hit a number of tipping points for geophysical and ecological harm. One of the most visible of these tipping points involves an ongoing ecological crisis — a global coral bleaching event. Perhaps the most vivid and heart-wrenching example of what is a very wide-ranging coral mortality situation is the bleaching-related damage to Australia’s Great Barrier Reef. In a terrible blow to one of the world’s most stunning natural wonders, about a quarter of the Great Barrier Reef’s corals have already been killed off — an event that some scientists say may eventually lead to 100 percent mortality of the Reef’s corals. (see a related report in The Guardian). The Great Barrier Reef is not the only reef system to suffer. In fact, the added heat due to human-forced warming of the atmosphere and oceans has generated bleaching-induced heat stress and mass coral mortality the world over. And some of the world’s other great reef systems, including Kiribati, which lost 80 percent of its live corals in 10 months, have been hit so hard it’s doubtful they’ll ever recover. At issue is the fact that all this added global heat is creating a situation where reefs bleach year after year and, in some cases (as was the case with parts of the Great Barrier Reef this year) even bleach during winter. It’s a coral mass mortality that falls under the definition of a global bleaching event. But it’s also happening with an intensity, persistence, and duration that we’ve never seen before. …the current global coral bleaching event is the longest ever recorded. It has affected more reefs than any previous global bleaching event and has been worse in some locales (e.g., Great Barrier Reef, Kiribati). Thermal stress during this event also has caused mass bleaching in several reefs that never bleached before (e.g., northernmost Great Barrier Reef). NOAA had initially forecast that this very-long-duration bleaching event would end sometime in 2016 as El Niño faded out. However, with sea-surface temperatures in the equatorial Pacific hitting the cool side of natural climate variability in the form of La Niña-like conditions during recent weeks, and the current global coral bleaching event still going strong, one has to wonder if oceans have now become hot enough to spur widespread bleaching at almost any time. NOAA now predicts a possible end to the current global bleaching event in 2017, giving the event a four-year duration. But with global temperatures continuing to warm, what we may be seeing is the start of an unbroken or nearly unbroken period of expanding coral bleaching, a time when global stress to corals due to high ocean temperatures is practically continuous. Record Hot Atlantic Basin to Fuel Brutish 2016 Hurricanes? Last week, Gulf of Mexico sea surface temperatures off Tampa Bay were outrageously hot. On July 10, the ocean temperature measure hit 93 degrees Fahrenheit (34 Celsius). By the 11th, temperatures had warmed still more. And by the 12th, ocean surfaces had hit a sweltering 95 F (35 C). It’s pretty rare that you see ocean waters anywhere on Earth become so hot. And when you do, it’s often in places like the Red Sea or the Persian Gulf — not the Gulf of Mexico. But in the new world driven to increasingly extreme warmth by human fossil fuel emissions, the potential heat bleeding off of ocean surfaces has jumped by quite a bit. And it’s not just true with Tampa Bay. According to Michael Lowry, a hurricane specialist at The Weather Channel, the whole of the Gulf of Mexico recorded its hottest average daily July sea surface temperature this month at 86.3 F (30.1 C). The record ocean heat extends still further. National Hurricane Center storm specialist Eric Blake earlier today noted that, for July, the entire Atlantic Basin west of longitude 60° W is the hottest it’s ever been during any hurricane season, including the record storm year that was 2005. In other words, a huge zone of ocean stretching from the far eastern edge of the Caribbean, encompassing all of the Gulf of Mexico and running up the entire eastern seaboard of the US and on to just east of Bermuda is now seeing the hottest July ocean temperatures experienced in our modern records. Overall ocean surface temperatures range from 0.5 to 1 C above average for the Caribbean, 0.5 to 2.5 C above average for the Gulf of Mexico and 1 to 6 C above average for the coastal US Atlantic. These temperatures compare to an already hotter-than-normal 1981-to-2010 average, so departures from the 20th-century average would be even greater. Record Ocean Heat to Strengthen 2016 Atlantic Hurricanes? Hot ocean temperatures are fuel for the powerful storms we call hurricanes. But it’s not the only ingredient. Low-pressure formation at the surface, a lift in the atmosphere, high pressure aloft, widely available moisture, and a lack of wind shear are all atmospheric assists that aid in storm formation. So far during July, a dearth of these other factors has resulted in no storms as of yet for the month. 2016, however, has already seen four named tropical storms — including the odd winter Hurricane Alex and three tropical storms which spun up during June. And given the extreme ocean surface heat in the Northwestern Atlantic, some agencies are beginning to call for the potential for more and possibly powerful storms on the way. The main driving elements for hurricane formation in the Atlantic are the SST values present in the Atlantic itself, the predicted wind shear conditions in the region, and the SST pattern found in the Pacific related to the timing of the transition from El Niño to La Niña in the equatorial Pacific Ocean. Model predictions anticipate that the second part of this 2016 season will be more active as La Niña intensifies in the Pacific and becomes one of the main drivers of activity for the Atlantic. As a result of the combined extreme Atlantic Basin heat and the predicted emergence of La Niña conditions in the equatorial Pacific, some hurricane monitors are upping the number of storms predicted for 2016. Colorado State is now forecasting 15 named storms as opposed to its earlier 13. However, its prediction for the number of major hurricanes has remained the same at two, with one affecting the US. However, predicted warm-water formation in the Pacific off Mexico could dampen Atlantic storms by pushing in more dry air and developing a higher degree of wind shear than is typical during a La Niña year. In addition, large African dust flows currently over the tropical Atlantic also may tend to suppress storm formation. Given the ambiguous conditions noted above, the situation still appears to be a bit of a crapshoot. That said, those extreme sea surface temperatures near the US will likely continue to ramp up through August. And that’s a situation that creates a potential where storms approaching the US rapidly intensify as they hit those record-hot waters. Overall, it’s a pretty dicey environment for forecasters and one that has been wagged in no small amount by conditions related to human-forced warming. One of the top three strongest El Ninos on record is now little more than a memory. According to NOAA, sea surface temperatures (SSTs) in the Central Equatorial Pacific hit a range more typical to La Nina conditions last week. This cool-pool formation follows a June in which ocean surfaces in this zone had fallen into temperatures below the normal range. But despite this natural-variability related cooling of the Equatorial Pacific into below-normal ranges, the globe as a whole continued to warm relative to previous June temperatures. According to NASA, last month was the hottest June in the global climate record. NASA figures show the month was 0.79 degrees Celsius warmer than the 20th century baseline (1951 to 1980) average, edging out June of 2015 (when El Nino was still ramping up) by just 0.01 degree C to take the dubious position of the new hottest June ever recorded by human instruments. June 2016 was also about 1.01 C hotter than temperatures in the 1880s, at the start of NASA’s global climate record. June marks the 9th consecutive hottest month on record in the NASA data. In other words, on a month-to-month comparison, each month since October of 2015 was the new hottest of those months ever recorded. In addition, the six-month 2016 climate year period of January to June showed an average global temperature of about 1.31 C above 1880s averages — perilously close to the 1.5 degree C global climate threshold. Distribution of this anomalous heat during this six-month period, despite the Equatorial warming pulse related to El Nino, was focused on the Arctic, as we can see in this Berkeley Earth graphical composite of the NASA temperature series above. Warmest temperature anomalies for the period appear above the Barents and Greenland Seas boundaries with the Arctic Ocean and approach 12 C for the six-month period. During this period, this region has hosted numerous warm-wind invasions of the Arctic from the south. A second, similar slot of warm south-to-north air progression appears over Alaska. During June, the Arctic as a whole remained much warmer than average, with the region from latitudes 80° to 90° North seeing a +0.8 C temperature departure in the NASA measure. The highest anomaly regions globally, however, were near the continental margins bordering the Arctic Ocean in the region of latitudes 70° to 75° North. Here temperatures ranged near 2 C above average. Some parts of this region were particularly hot. These included the region of Russian Siberia near the Yamal Peninsula, which saw 4-8 C above average temperatures for the month, the Bering Sea and Northeastern Siberian region adjacent which saw 2-8 C above average temperatures, and the Canadian Archipelago which saw 2-4 C above average temperatures for the month. Notable is that visible warm-air slots running from Tropics to Pole appear to remain intact in the Northeastern Pacific and over Central Asia in the Northern Hemisphere during early Summer. Meanwhile, an odd Southern Hemisphere warm-air slot appears to have developed during June in the region of the Southeastern Pacific. This particular Equator-to-Pole heat transfer appears to have run as far south as the West Antarctic Peninsula and assisted in producing a 4-8 C above-average temperature spike there. As the majority of the world remained hotter than normal during June of 2016, the only noted outlier cool region was Central and Eastern Antarctica which, in spots, saw 4 to 7.1 C below-average temperatures. Overall, as El Nino continues to shift toward neutral or La Nina states, global temperatures should remain lower than during peak periods seen earlier this year. It’s likely that over the coming six months, the very long period of new monthly global record temperatures we’ve seen will eventually be broken by a top-five- or top-10-hottest month. In other words, that’s about a decade’s worth of typical human-forced warming in just one year. If it shapes up that way, it basically blows all previous years out of the water. Pretty nasty to say the least. Today’s satellite pass by NASA’s LANCE MODIS array tells a dire story that practically no one in the global mainstream media is talking about. Northern and Central Siberia is burning. Scores of massive fires, some the size of cities and small states, are throwing off a great pall of smoke 2,500 miles long. The vast boreal forests are lighting off like climate-change-enhanced natural fireworks. The tundra and permafrost lands — some of them frozen for hundreds of thousands to millions of years — are thawing and igniting. But for all of the loudly roaring fires, most of the major media reporting agencies have thus far produced only deafening silence. Imagine an enormous rectangle. At its northwestern end is the Yamal Peninsula and the shores of the Arctic Ocean. At its southeastern end is Lake Baikal, nearly 2,000 miles away. The vast expanse between is littered with fires. Some of these fires are relatively small. But others are vast, sporting firefronts 20-25 miles wide and revealing individual burn scars that, according to unconfirmed satellite analysis, appear to cover as much as 400 square miles of land. And it’s not just a case of a smattering of these fires burning across the broad region. Rather, these massive fires are burning in multiple clusters, some of which would easily cover a region the size of the US state of South Carolina. The below image is a 300-by-220-mile box showing a section of North Central Arctic Siberia between north latitudes 58.5 and 66.2. Note that a significant portion of the land area in this satellite capture is covered by very large fires. These very large fires are vigorously burning in a contiguous permafrost zone of Siberia. During recent years, as human fossil-fuel burning has continued to warm the Earth, such fires have become more and more common. Burning not only forest, the fires have also consumed duff, peat, and, increasingly, recently thawed sections of the permafrost. Though these fires are now in the process of activating a very large northern carbon store, and though such an event represents a dangerous amplifying feedback to human-forced warming, their occurrence and extent has been greatly underreported by the Russian government. Further north, even the typically hard-frozen tundra regions are burning. 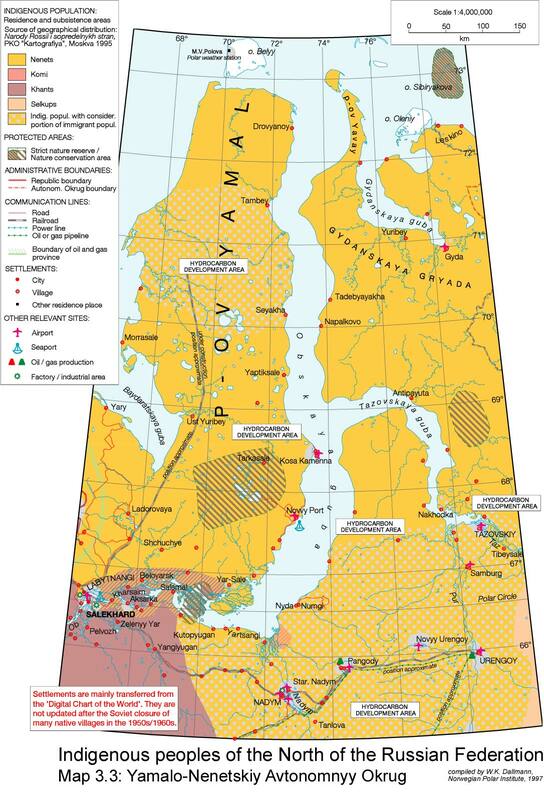 Near the town of Nuya, along Obskaya Bay just east of Yamal, Russia and located in the fossil fuel development zone between north latitudes 66 and 67.3, enormous fires are raging. Like the recent Fort McMurray fire, these blazes appear to be burning near fossil fuel infrastructure and development zones. 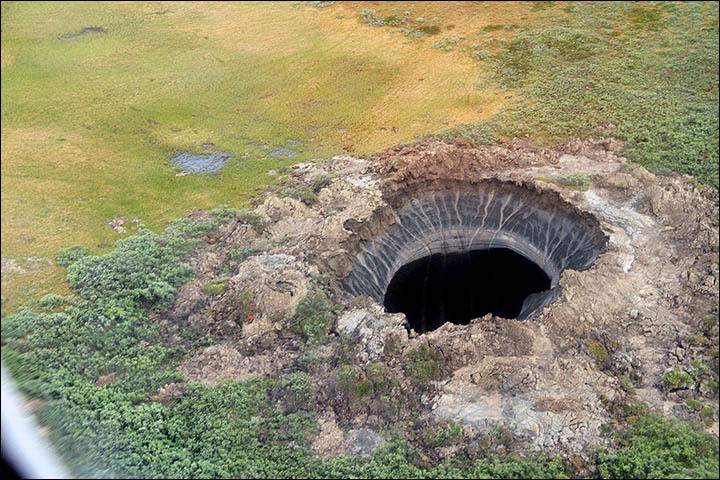 The Yamal region was also the location of the recent, and controversial, methane blowholes. 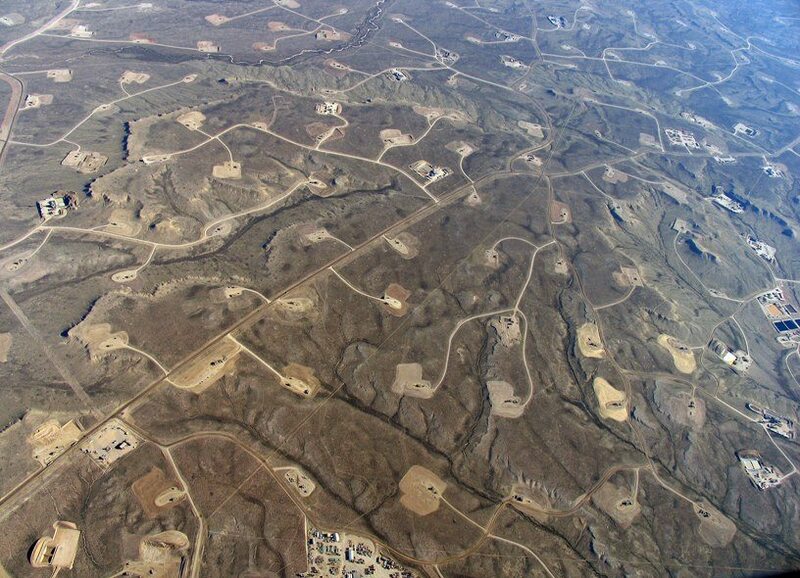 The region sits over large gas deposits, some of which are in the form of clathrate. And some of the previously stable frozen deposits appear to be facing an increasing release pressure due to thawing, the invasion of warm liquid water into the subterranean environment, and, at the near-surface region, lightning strikes (which were previously unheard of in this zone) and wildfire pressure. Today, a good number of these fires burn north of the farthest northern extent of the Siberian tree line in 77 to 86 degrees F (25 to 30 C) temperatures. For some regions, these temperatures are 30 to 40 degrees F (17 to 22 C) above average. At the northwestern end of the vast, fire-marred range that now covers a land area larger than most countries, temperatures near the Arctic Ocean shore at 70.9° N, 81.4° E are 86 degrees F (30 C) — about 40 degrees F (22 C) above average. Not far away, the wildfires in the above image burn. Despite increasing prevalence and extent, Siberian wildfires have continued to be underreported during recent years, despite the fact that out of all major Arctic permafrost and boreal forest regions — Alaska, Canada, and Siberia — Siberia has shown the visibly greatest increase in wildfire frequency and extent. This is likely due, in part, to a now-documented underreporting of wildfire extent by the Russian government. “Our results suggest that radiative forcing by a combination of anthropogenic greenhouse gases and volcanic aerosol has produced observed cloud changes during the past several decades that exert positive feedbacks on the climate system. We expect that increasing greenhouse gases will cause these cloud trends to continue in the future, unless offset by unpredictable large volcanic eruptions.” — Evidence for Climate Change in the Cloud Satellite Record (emphasis added). Scientists now have a satellite record of cloud behavior over the past few decades. What they’ve found is that, in response to Earth warming, cloud tops are rising even as clouds are forming at higher altitudes. This traps even more heat at the Earth’s surface. In addition, storms are moving north toward the poles, which means more sunlight hits the temperate regions near 40 degrees latitude both in the Northern and Southern Hemispheres. This northward movement of storms also causes the Earth to warm more rapidly. In the past, scientists had hoped that changes in clouds would shelter the Earth from some of the greenhouse gas warming caused by fossil fuel emissions. What we are finding now is that the opposite is true. The way clouds change as the Earth warms appears to be increasing the intensity of greenhouse gas warming. Will the impacts of human-caused climate change be as bad or even worse than we feared? Will the Earth warm as rapidly or more rapidly than climate models suggest? These are critical questions. Ones that revolve around the issue of how sensitive the Earth is to the added heat build-up initiated by a large and growing pulse of human-emitted greenhouse gasses. One whose answer will have lasting consequences for all those currently alive today and for many of the generations to follow. For if the answer to this question is yes, then we have responded too slowly to what is now a swiftly worsening global climate crisis (and, according to a new observational study, that answer appears to be, with growing certainty, YES). In relation to these questions is a noted relevant scientific uncertainty over the behavior of clouds in response to warming. Mainstream science has long produced state of the art climate models showing that changes in clouds due to Earth’s warming was likely a heat-enhancing (positive) feedback overall. And paleoclimate studies have tended to support the kinds of Earth System sensitivity to heat forcing that would result. But due to the fact that cloud behavior is difficult to model (and confirm through observation), there was a decent level of uncertainty in the science over the issue. And it is this seeming gap in our physical understanding that has spurred a big controversy circulating among climate change skeptics/deniers and the mainstream scientific community. On the deniers side are people like Judith Curry, Roy Spencer, Richard Lindzen, and Anthony Watts (and their fossil fuel backers) who have broadly asserted that clouds respond to warming in a way that alleviates some of the added heat. The group also claimed that the cooling impact of clouds (negative feedback) was strong enough to reduce the Earth’s overall sensitivity to human greenhouse gas forcing to significantly less than the widely accepted 3 C Equilibrium Climate Sensitivity range (ECS — or about a 3 C warming over an approximate 100 year period for each doubling of CO2, or approximately double that warming over the long term). On the other side are the mainstream scientific heavy weights — including notables like NASA GISS’s Gavin Schmidt and Michael Mann of Hockey Stick notoriety — along with a large and growing body of studies producing evidence to support the cloud model essays. The upshot has produced what could best be called a debate enabled to sow doubt (climate skeptics/deniers tend to receive funding from fossil fuel think tanks and other political bodies, which is a marked and glaring conflict of interest) between actual science and what might well be characterized as an intentionally misleading industry PR campaign. Wrapped up by this doubt-sowing were a number of scientists who simply seemed to hope that something (even changes in clouds) would give humankind enough time to make the tough policy choices needed to respond to human-forced warming. This group included a number of well-intending individual scientists who simply appeared unwilling to unequivocally accept the stark implications coming from the model assessments and from the paleoclimate proxy data. Unfortunately, uncertain understanding of how clouds respond to warming has served either as false comfort or fed into yet one more climate change skeptic/denier based doubt-sowing delaying tactic for much-needed global policy action on climate change. Now, a new observational study headed by Joel Norris has helped to clear up some of this uncertainty. The study used satellite based observation of cloud behavior over the past 25 years to confirm that alterations in Earth’s cloud cover is producing an amplifying feedback to human caused climate change. In other words, the heat provided by human fossil fuel emissions is forcing the clouds to respond in ways that warm the Earth even faster. At issue are two big mechanisms. The first is that warming up the Earth’s atmosphere is observed to be forcing the storm tracks toward the poles. This pole-ward movement is resulting in less overall cloud cover for the middle latitudes. Less cloud cover in this region reduces the coverage of bright, reflective clouds which, in turn, generates a loss of Earth reflectivity (albedo). As a result, more of the sun’s rays enter the Earth’s lower atmosphere in this zone which causes the atmosphere to heat up. The second big cloud feedback mechanism was an observed increase in upper level cloud formation. This is important because high level clouds act as a blanket, trapping more of the Sun’s heat in the atmosphere. What the study found was that cloud tops were both rising even as the number of clouds at higher altitudes was increasing. This combination resulted in an observed increase in radiative forcing on the order of 0.39 Watts per meter squared. That’s about a 12 percent increase above and beyond the base additional greenhouse gas forcing currently provided by human beings. In other words, the way clouds respond to human greenhouse gas emissions caused the world to warm up even faster. In addition to these changes that add heat to the Earth System, there is one noted significant knock-on effect. Loss of clouds in the middle latitudes results in less rainfall for places like the Amazon Rainforest, the US Southwest, and large parts of Europe, Africa, Asia, and Australia. In this way, shifting storm tracks are an enabler not only to amplified global warming, but also to the increasingly prevalent and severe droughts and wildfires that we are now seeing in many of the most highly populated parts of the world. Reports are in and it’s official — the Fort McMurray Fire was the costliest disaster ever to impact Canada. According to the Insurance Bureau of Canada (IBC), claims of damages for the massive Alberta wildfire have now topped 3.6 billion dollars. That’s worse than the Alberta floods of 2013 at 1.8 billion dollars (ranked third), and worse than the great Quebec ice storm of 1998 which inflicted 1.9 billion dollars (in 2014 dollars) in damages. CEO Don Forgeron of IBC stated that the damage from the fires provide “alarming evidence” that extreme weather events have increased in frequency and severity in Canada. And that’s especially true for wildfires — which are being worsened by a climate change driven warming. The added heat is lengthening the fire season in Northern Latitudes even as it is generating temperatures that are inhospitable to trees that have adapted to live in much cooler climates. It’s also thawing the permafrost — which adds more peat-like fuels for fires to burn. The Fort McMurray fire erupted under these new climate conditions and under temperatures that were 40 degrees (Fahrenheit) above average at the time of ignition. It forced the entire city of Fort McMurray to empty. It resulted in the evacuation of 90,000 people, the (darkly ironic) temporary shut down of various fossil fuel production facilities, and leveled 2,400 structures. Many more structures were damaged due to smoke or falling embers. In total, more than 27,000 property claims were filed. Unfortunately, this fire is unlikely to be a one-off event. Year after year, an Arctic warming at 2.5 to 3 times the rate of the rest of the globe pulls heat northward. Earlier thaws and added fuels combine explosively with swaths of dead trees killed by rampaging invasive species that have arrived from the south. No northern or Arctic nation has been untouched by the extreme fires. Alaska, Canada, and Siberian Russia have all seen extraordinary and massive fires during recent years. Fires that throw great pulses of heat and burning debris high into thunderheads of flame called pyrocumulus clouds. A word that climate change has now added to the popular lingo. According to NOAA, the United States just experienced its hottest June ever recorded in the whole of the national climate record starting 122 years ago in 1895. That’s an average temperature of 71.8 F (22.1 C) across the contiguous United States — or 3.3 F (1.83 C) hotter than a typical June. The new national June record broke the old record set back in 1933 and comes amidst a 13 month long streak of record hot months in the NOAA Climate measure. The record US heat also coincided with an extreme Southwestern heatwave, an apparently unquenchable California drought, record low Lake Mead water levels amidst a 16 year drought in the Colorado River basin, severe US wildfires, and the worst flooding in a hundred years to strike West Virginia. Record heat — both at the national and at the global level — is a well-known driver of extreme weather events such as wildfires, droughts, and deluges. And NOAA shows that six of the past nine years have seen far above average damages due to severe weather — with 2016 tracking near the all time worst year (2011) for number of billion + dollar disaster events. Meanwhile, extreme weather attribution studies are increasingly providing a physical science basis for linking single and regional events with the larger global warming trend. At the same time that national temperatures were hitting new record highs, average carbon dioxide levels measured by the Mauna Loa Observatory saw record rates of rise for the month. According to NOAA’s Earth Systems Research Laboratory, June of 2016 saw average carbon dioxide levels that were 4.01 parts per million higher than June of 2015. That’s a huge jump in the atmospheric concentration of a greenhouse gas that rose by about 1 part per million every year during the 1960s and during recent years has risen by an average of about 2 parts per million. Last year saw a record annual rate of atmospheric CO2 increase of around 3.05 parts per million. But the first six months of 2016 have so far greatly outstripped even 2015’s nasty rise — currently tracking 3.59 parts per million above the first six months of the previous year. Record global greenhouse gas levels and a spike that is essentially vertical on geological timescales are, in greatest portion, driven by human fossil fuel emissions. These spiking levels of heat trapping gasses, in turn, drive extreme global temperatures and related severe weather events. But as the world’s land and ocean surfaces heat up, they tend to also draw in less of the human carbon emission even as they emit more. Expanding deserts, worsening wildfires, expanding ocean hot pools and thawing permafrost all add to this vicious cycle. And it’s possible that we’re starting to see rumor of these amplifying feedbacks starting to kick in now. Which makes the continued burning of fossil fuel that drives the whole vicious cycle an ever more dangerous prospect. It’s another day in a record hot world. And in a few hours, just below the Arctic Circle in Siberia, the temperature is predicted to hit 33.2 C (or just shy of 92 degrees Fahrenheit). According to climate data reanalysis, that’s about 15-20 C above average for this time of year over a land filled with cold weather adapted boreal forests and covering ground that, just below the first few feet of duff, is supposed to be continuously frozen. All along the southern and western boundary of this region of extreme heat, very large wildfires now rage. Sparking near and to the east of Lake Baikal during early April, May and June, the fires have since run northbound. Now they visibly extend along an approximate 1,000 mile stretch of Central Siberia ranging as far north as the Arctic Circle itself. As recently as June 25th, Russian authorities had indicated that around 390 square miles had burned along the southern edge of this zone in Buryatia alone. For other regions, the tally is apparently uncounted. An unreported number of firefighters are now engaged with these blazes and have currently been assisted by an additional 150 Russian Army personnel. The Interfax News Agency also reports that 11,000 personnel from the Russian Army are currently on standby to battle the massive fires, should the need arise. Today’s Siberia is a vast thawing land and armies of firefighters are now apparently necessary to stop or contain the blazes. Already interspersed with deep layers of peat, melting permafrost adds an additional peat-like fuel to this permafrost zone. When the peat and thawed permafrost does ignite, it generates a heavier smoke than a typical forest fire. This can result in very poor air quality and related incidents of sickness. During 2015, a choking smog related to peat fires forced an emergency response from Russian firefighters. The thick blanket of smoke currently covering Siberia (visible in the June 30 LANCE MODIS satellite shot above) now blankets mostly uninhabited regions. But the coverage and density of the smoke is no less impressive. Peat and thawed permafrost fires have the potential to smolder over long periods, generating hotspots that can persist through Winter — emerging as new ignition sources with each passing Summer even as Arctic warming intensifies. During recent years, wildfires in the Siberian Arctic have been quite extensive. According to Greenpeace satellite analysis, 2015’s wildfires covered fully 8.5 million acres (or about 13,300 square miles). These reports conflict with the official numbers from Russia. Numbers Greenpeace indicates fall well below the actual total area burned. Thawing permafrost under warming Siberian temperatures not only generates fuel for these wildfires, it becomes an additional source of greenhouse gas emissions. And as the area of land wildfires burn in the Arctic expands together with the heat-pulse of human-forced warming, this amplifying feedback threatens to add to an already serious problem.